U.S. President Donald Trump met with close to three dozen world leaders, since he took office a year ago on January 20, 2017. 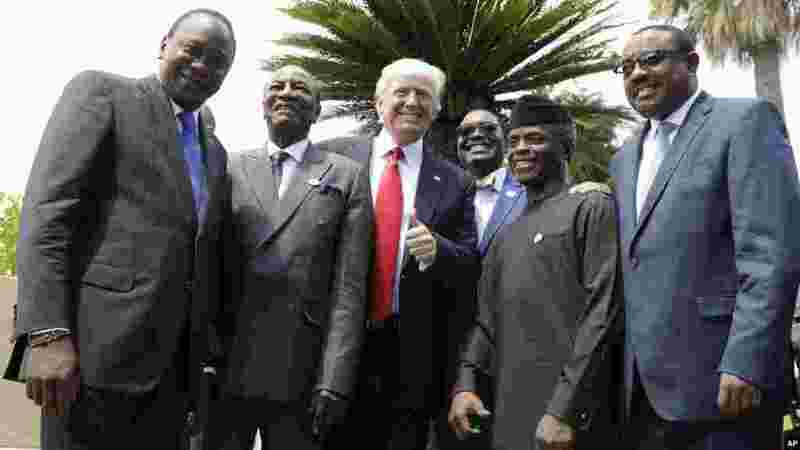 1 President Trump poses with African leaders, from left, Kenya's President Uhuru Kenyatta, President of the African Union Alpha Conde', President of the African Development Bank Akinwumi Adesina, Nigeria's Vice President Yemi Osinbajo and Ethiopia's Prime Minister Haile Mariam Desalegn. 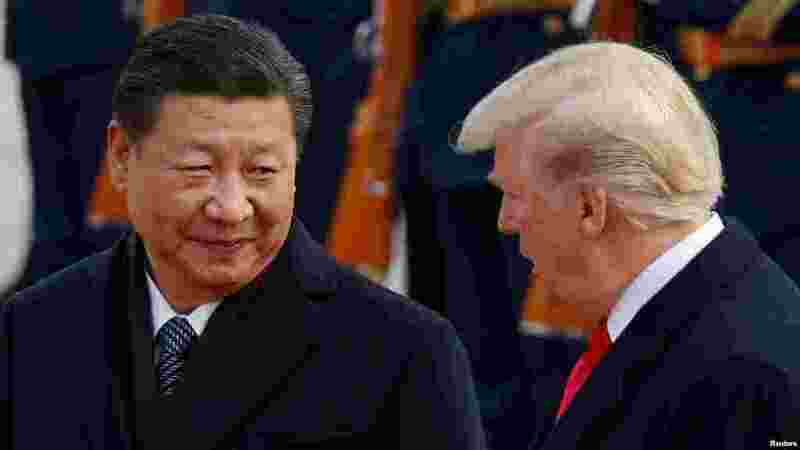 2 President Trump meets China's President Xi Jinping. 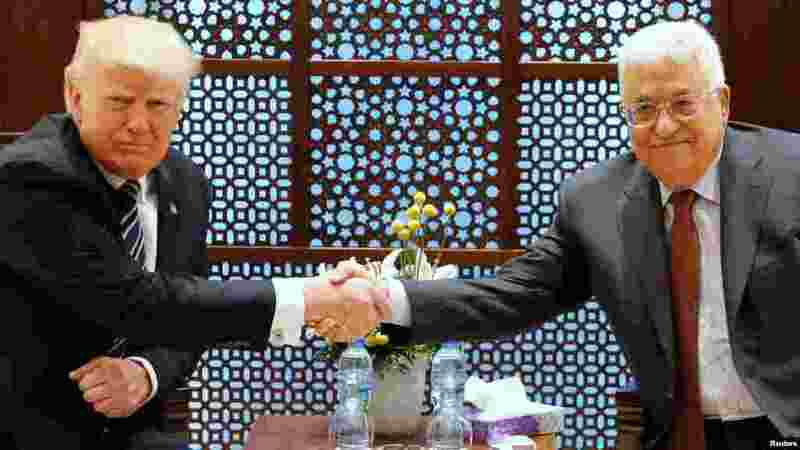 3 President Donald Trump and Palestinian Authority President Mahmoud Abbas. 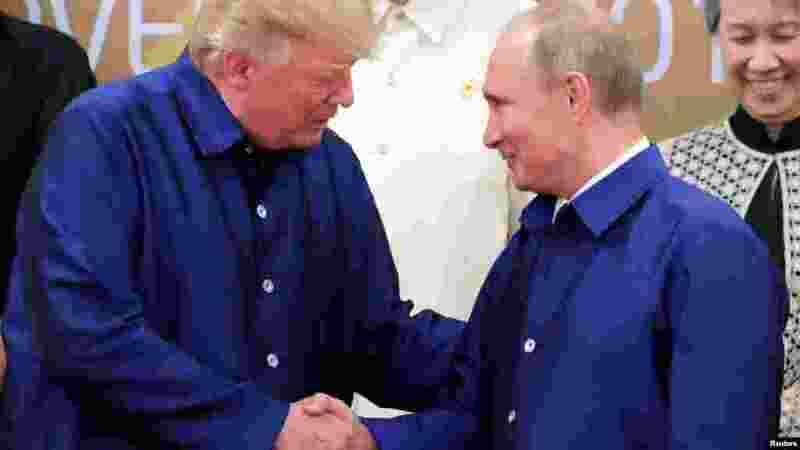 4 President Trump greets Russian President Vladimir Putin.